Cammax and South Yorkshire Passenger Transport Executive (SYPTE) are working together to widen the range of public transport tickets available to users in South Yorkshire. Cammax have installed 17 Card Payment Kiosks in South Yorkshire, enabling members of the public access to top-up their smartcards in several locations. Key locations include Barnsley Interchange, Doncaster Interchange, Meadowhall Interchange and Sheffield. Smartcards are reusable plastic cards which can be used on several modes of public transport. The installation of these kiosks has meant more public transport users have access to 24 hour payment facilities, making smartcards more user-friendly. Since being installed a few months ago, the kiosks have had over 20,000 transactions carried out, reducing the number of fares paid in cash on the transport. This move towards cashless has made bus services more efficient as users do not need to queue for a ticket once on the bus. 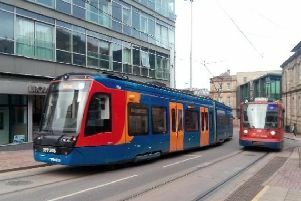 South Yorkshire Passenger Transport Executive (SYPTE) Interim Director General, David Young, said: “Together with local public transport companies, we are working to widen the range of public transport tickets available and to expand the number of places where people can buy them from. Cammax have plans to implement five new cash kiosks in South Yorkshire over the next few months, giving users more flexibility when topping up their smartcards. They are also working with Nottingham City Council and York City Council to install more than 100 smart ticketing kiosks throughout 2015 to help develop the transport industry.